Here is the latest league table for 4A4. There will be a prize for the top student from each class at the end of the year. The league table will be updated after all students from each class have completed their exam in each module. The latest table is based on the results from Module 2. The table for 4A1 ECDL is in the post below. 4A4 have a higher average mark as a class than 4A1!!! The final section of your eLearning for the Module 3 (Word Processing) exam is on Mail Merge. So, what is Mail Merge and how do you do it in Word 2010? As your ECDL exams this year are in Office 2010, it may be useful to have Office 2010 on your home computer to practice using the application. 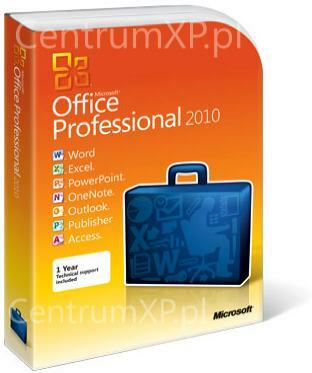 You will also need Office 2010 in order to do any Mock Exams at home. To avail of this offer, click here and follow the on-screen instructions. Use your school email address to make the purchase. Let me know if you need any further information or help with ordering. Thinking about a career in IT? Thousands of jobs are available in Ireland’s growing IT industry. Twitter are locating their international office in Dublin and Bioware (a subsidiary of Electronic Arts) are recruiting in Galway. ECDL eLearning uses a pop-up window in your browser. You should either allow the ECDL site to display pop-ups or disable the pop-up blocker altogether. Here is how you disable the pop-up blocker in Internet Explorer. The Computing Summer School offers you a week long hands-on, practical Computing and IT experience. Students on the Summer Event will have the opportunity to do fun, interactive experiments and demonstrations, talk to the lecturers and ask questions, hear about the latest discoveries and inventions, and try out the facilities on offer. Due to space restrictions, numbers on the Computing Summer School are limited, so apply early. The event is open to secondary school students from 14-18 years old. Last date for receipt of applications is May 31, 2011. A fee of €50 applies to this event. For more information and an application form see http://www.it.nuigalway.ie/ or ring Tina at 091 493143. As part of your project work in school, you may want to embed a Youtube video in Powerpoint. The following video shows you how to embed a video from Youtube in Powerpoint 2003.